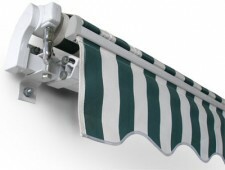 At The Awning Man, we stock Standard Awnings that are manually operated by using a winder handle. The Standard Awnings are available in a variety of colours, both solid and striped, and are made from high quality 300gsm (grams per square metre) polyester. 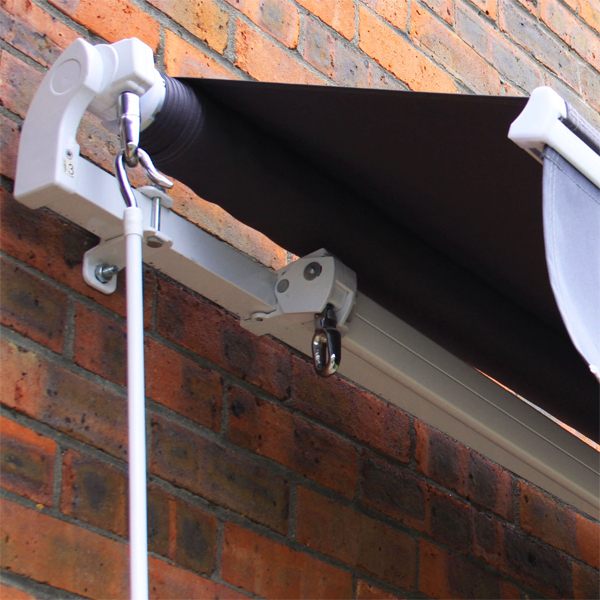 The awnings are waterproof and come complete with all neccessary expansion bolts, wall brackets and a winder handle to operate the awning. The awning can be opened as much or as little as you like up to the maximum projection and you can alter the slope of the awning from almost horizontal to a relatively steep tilt of approximately 40 degrees from the horizontal. Please choose from the dimensions below (width x projection) to filter the results. 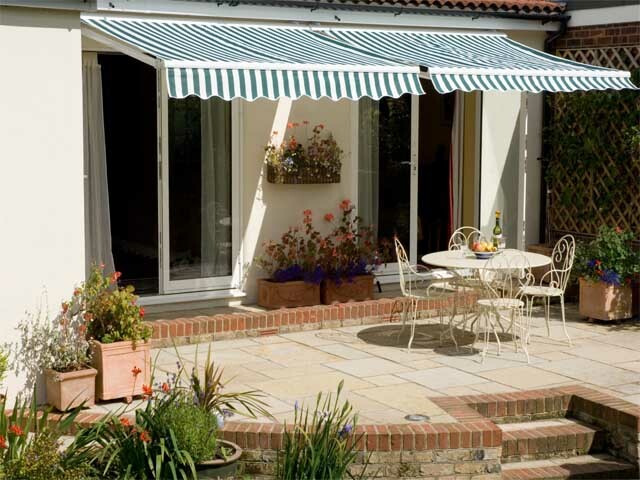 Manually operated Blue Stripe Standard Awning suitable for your garden, patio or shop front. Widt..
Manually operated Blue and White Stripe Standard Awning Width 1.5 metres with a projection of..
Manually operated Blue and White Stripe Standard Awning Width 2.5 metres with a projection of..
Manually operated Blue and White Stripe Standard Awning Width 2 metres with a projection of 1..
Manually operated Blue and White Stripe Standard Awning Width 4.5 metres with a projection of..
Manually operated Charcoal Standard Awning Width 1.5 metres with a projection of 1 metre (1.5..
Manually operated Charcoal Standard Awning Width 2.5 metres with a projection of 2 metre (2.5..
Manually operated Charcoal Standard Awning Width 2 metres with a projection of 1.5 metre (2m ..
Manually operated Charcoal Standard Awning Width 4.5 metres with a projection of 3 metre (4.5..